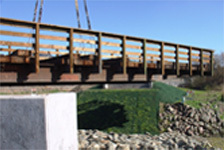 Find Out About Our Civil Engineering Services | Adobe Associates, Inc.
To maximize the value of your project, you need to take advantage of opportunities and avoid potential pitfalls. That’s not always easy on civil engineering projects that can often get hit with costly delays, project downtime, and re-work not to mention guiding the project through the maze of regulations. Given all of these project challenges, you need civil engineers who have the knowledge and expertise to help you seize opportunities and avoid complications. You’ll find that we combine rock-solid civil engineering with the little things that make a significant impact on your bottom line. We start right from project inception helping you to weigh various project options, and with our years of experience, we can set a vision that enables you to reach your goals. With our depth of expertise in multiple project types, we can give you a thorough assessment and proposal up-front when you need it most. You’ll see potential problem areas before they arise, saving you valuable time and money. During the project, our civil engineers are proactive and responsive. We know that downtime and re-work means added cost, so we go above and beyond to ensure we help to keep your project on track. We are experienced problem-solvers who work with your project team to create the best possible solutions. All development civil engineering projects face an increasing set of local laws and requirements. Since 1982, Adobe Associates has been building positive relationships with all of the local agencies, so we can help to guide your project through the approval process. We know what’s needed, when, and why, so we can make it as smooth as possible. We’re with you every step of the way to the final piece of the project. Your complete satisfaction is the key to our ongoing success. Contact Adobe Associates, Inc. to learn more! Civil engineering is a professional engineering discipline that deals with the design, construction and maintenance of the physical and naturally built environment, including works such as bridges, roads, sewers and sanitary wastewater systems, buildings and other structures. Civil engineering takes place on all levels: in the public sector from municipal to national governments, and in the private sector from individual homeowners to international companies. At what step do I engage a Civil Engineer? The Civil Engineer is essential for understanding the land, soil and regulatory aspects of any construction project; early involvement is essential and the Civil Engineer is frequently hired directly by the owner, in advance of the design team. The Civil Engineer prepares his or her own contract documents and assesses work compliance with the contract documents. What types of engineering services do you provide? 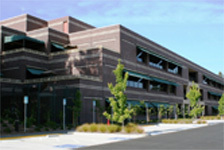 We offer general civil engineering design services. Specifically, we design grading and drainage plans, both sanitary and stormwater sewers, streets, highways and wastewater systems such as private septic systems and winery wastewater systems. Additionally, our personnel have experience in preparing complex drainage or hydraulic studies, construction cost estimates, bid documents and feasibility studies. What should engineering work cost? The size and complexity of projects vary, and the amount of engineering required varies. Some simple, small projects can require a lot of engineering work while some large and complex projects can require very little engineering. These factors notwithstanding, fees are typically commensurate with the size and type of project. Engineering can be billed per hour or charged at a flat rate. Because of the many different factors influencing costs and the many different types of projects, it is best to call or email your engineer about fees. It is usually possible to get an exact quote for your project if your plans are substantially completed or if the scope of your project is well-defined. If not, you can usually get a a fairly close range of engineering costs to expect if you have a good idea of what you want to build and can describe this to your engineer. In developing a site for a new use, it is critical from a practical as well as legal standpoint to properly collect, convey and discharge stormwater on your site. A Stormwater Mitigation Plan will quantify anticipated flows from certain "design" storms, propose the method of conveyance (e.g. culvert pipes or open ditches) and show how to minimize the negative stormwater runoff impact on downstream properties and watersheds. Adobe Associates' staff is proficient in the different methodologies for estimating runoff from different types of sites subject to storms of typical duration. We combine sound engineering methods and practical experience to deign Stormwater Management Systems that are effective, cost conscious and environmentally sensitive. What is a Qualified SWPPP Developer (QSD)? A Qualified SWPPP Developer (QSD) is an individual who is authorized to develop and revise Storm Water Pollution Prevention Plans (SWPPPs). To ensure that the preparation and implementation of the SWPPP is sufficient for effective pollution prevention, Section VII of the Construction General Permit specifies that the Qualified SWPPP Developer (QSD) and Qualified SWPPP Practitioner (QSP) be responsible for creating, revising, overseeing and implementing the project SWPPP. Effective July 1, 2012, a QSD shall have one of the following credentials: a) A California registered professional engineer; b) A California registered professional geologist or engineering geologist; c) A California registered landscape architect; d) A professional hydrologist registered through the American Institute of Hydrology; e) A Certified Professional in Erosion and Sediment Control (CPESC) registered through EnviroCert International, Inc.; or g) A professional in erosion and sediment control registered through the National Institute for Certification in Engineering Technologies (NICET). Effective September 2, 2011, a QSD shall have attended a SWRCB -sponsored or -approved QSD training course. What is a Qualified SWPPP Practitioner (QSP)? A Qualified SWPPP Practitioner (QSP) is an individual assigned responsibility for the implementation of all elements of the Storm Water Pollution Prevention Plan (SWPPP), including non-stormwater and stormwater visual observations, sampling and analysis and preparation of Rain Event Action Plans. To ensure that the preparation and implementation of the SWPPP is sufficient for effective pollution prevention, Section VII of the Construction General Permit (CGP) specified that the Qualified SWPPP Developer (QSD) and Qualified SWPPP Practitioner (QSP) be responsible for creating, revising, overseeing and implementing the project SWPPP. Effective September 2, 2011, a QSP shall have attended a State Water Resources Control Board (SWRCB)-sponsored or -approved QSP training course and shall be either a QSD or have one of the following credentials: a) A Certified Erosion, Sediment and Storm Water Inspector (CESSWI) registered through EnviroCert International, Inc.; or b) A Certified Inspector of Sediment and Erosion Control (CISEC). When is a grading permit required in Sonoma County? Grading permits are required when moving more than 50 cubic yards of soil, you are cutting more than 2 feet in depth, or you are creating a cut slope greater than 5 feet in height that is steeper than 2:1. Each of these requirements are exempt if the excavations are under a proposed structure properly permitted through the County of Sonoma. 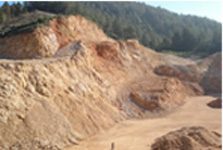 Other requirements that will trigger a grading permit are whether you are filling more than 3 feet over existing grade or 1 foot over existing grade where the fill is intended to support a structure. Fills from 1-3 feet that are placed on a slope greater than 15% can also trigger a grading permit. Finally, any fill within a Flood Prone Urban Area or within a Special Floor Hazard Area will require a permit. How long does it take to get the grading permit after the grading and drainage plans are submitted? The time for a grading permit varies depending upon the amount of permits that Sonoma County Permit and Resource Management Department receives over a period of time. Over the years, we have seen that the initial review time (1st plan check) can be between 4-6 weeks and then the subsequent reviews take approximately 2 weeks following a resubmittal. What is a LID and when is it needed? LID stands for Low Impact Development. 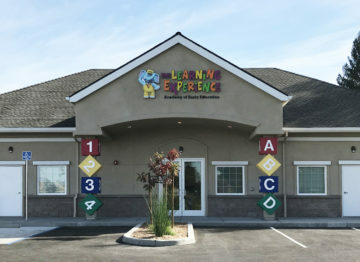 It is both a design method and program that has been adopted by most areas within Sonoma County. The aim is to design new projects so that the surrounding lands will not be negatively impacted by proposed improvements. The LID program requires that the volume of runoff produced from the 85th percentile storm event will not be increased as a result of any proposed project. There are certain measures that can be implemented on-site to help retain the increase in stormwater, the most common being infiltration basins. These basins detain the runoff on site and allow it to infiltrate into the ground as opposed to running off of the site. 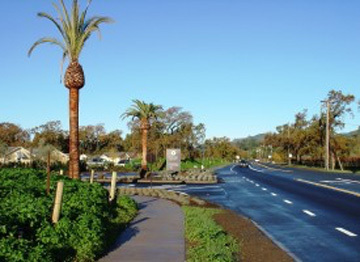 Projects that are subject to the LID program are any that are located within the Santa Rosa city limits. There are other jurisdictions that have also adopted similar LID programs. Please give us a call to discuss or check with the local permitting agency during the design process for details on their specific requirements. Erica Roetman Sklar , Executive Director, Calistoga Affordable Housing, Inc. I have had a great experience working with Adobe. They really know how to communicate and meet their deadlines. I never have to chase after their engineers or go sit in their office waiting to get what I have asked them for. Adobe’s professionalism makes both my job and my project team’s job much easier.